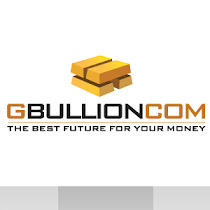 Official GBULLION Blog: High Time for New Gold Price Records? High Time for New Gold Price Records? The last week’s target of $1600 was more than accomplished, as the worst month for gold price in 30 years was immediately followed by the craziest jump since August 2011. Last Friday the price showed a really high upward movement of $66. The price was mainly boosted by the pessimistic report on May’s US job creation activity as reported by the US Labor Department. This is what happened last week. Has the tendency changed since then? What do experts think? Stephen Platt, senior account executive with Archer Financial Services says that the global economy seems to be in trouble, and that has encouraged some flight to safety, which had been lacking from this market for some time. So far Tuesday, gold (ended with a loss of only 0.12%) is stronger even though the dollar is also higher. Euro gold rose to about €1300. So far so good! What are the longer-term predictions though? Platt put the initial chart resistance for August gold around $1,630 an ounce, with support in the area from $1,607 to $1,600. Stay tuned … and bullish!